It has been about 20 months now since I launched this site. Since the time I was planning on how to feed information to people through this blog, I have always been thrilled. 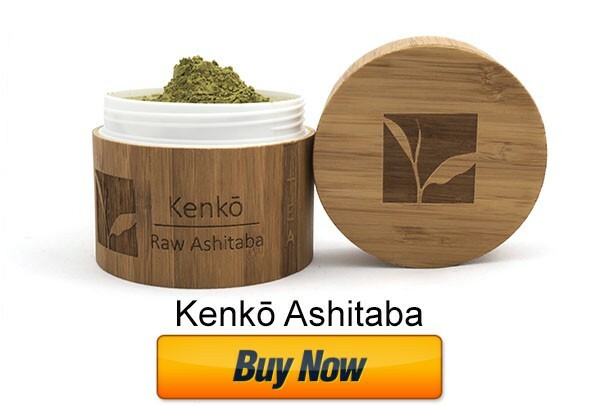 Being a channel that provides helpful information about ashitaba health benefits and everything I know about the ashitaba plant makes this site grow more each day. I’d like to thank readers for that. In this post, I’ll be sharing insights on this blog taken from Google Analytics (date range: August 2012 to April 2014). Who are interested in ashitaba plant? The number of people who becomes aware about ashitaba plant and its benefits is increasing. I am able to say this because of the increasing number of page views every month. Three age groups comprise of the sum of my readers: 55 to 64-year-old folks comprise of 39.53%; 44 to 54-year-olds, 34.88%; and 25 to 34-year-olds, 25.58%. This indicates that younger individuals are not that concerned about health or only a few of them search the web to know about ashitaba. In terms of gender, there are surprisingly more females who visit the site. The result for this demographics is that a whopping 87% of viewers are female and the remaining percentage of the reading population consists of males. It’s also interesting to note that the top 5 categories of visitors are associated as movie lovers, technophiles, TV lovers, music lovers, pop music fans and shutterbugs. Geographical-wise, 77.89% of the visitors are from the Philippines; 10.72%, from the United States; 1.06%, from Canada; and the rest of the countries that made it to the top 10 are: India, Singapore, Australia, Japan, Indonesia, Guam and Saudi Arabia. Where do readers start finding and learning about ashitaba? Apparently, the most popular post of all time is Multiple Health Benefits of Miraculous Plant: Ashitaba. I thought people get it right, as this is the post containing the basic overview of the major health benefits that one can get out of taking ashitaba regularly. The second most popular is the Difference Between Japan Ashitaba and Gynura Procumbens. Yup, I agree that this is a must-know, since many people are confused and doubtful whether they are getting the real ashitaba from Japan or just the local version. Third most popular is How Ashitaba Works as a Super Food. All the succeeding posts are related to this one, making it the third best starting point. That’s all for now. I guess that based on these, the conclusion is that females from the Philippines whose ages are ranging from 55-64 are most interested about ashitaba plant. Does that sound and seem right? What say you? Feel free to post your comments below. My next post will be about the new ashitaba products that will replace the current ashitaba capsules being sold in this site locally. These new items are winners considering price for value and the quality. So you may expect to get greater health benefits from ashitaba (Angelica keiskei) plant parts and also sustainability of use from the new products. Had no idea. Thanks for the info. Going to do some homework! I have never heard of ashitaba before.. But i do fall into the 25% of not knowing.. lol Thanks for the info i learned something new today! We learn something new every day. 🙂 There's a lot to learn about ashitaba. You can start with the most popular post here. I'm definitely in the 25% too! Thanks for enlightening me. I also fall into that 25% of not knowing – It's great to learn about it. I wonder if I'm saying it right.. Lol. I have never heard of the ashitaba plant before either. Love learning new things. There are so many published documents online about ashitaba. You can browse through them and share new knowledge to your friends and loved ones. Very interesting information. I had no idea. Thanks for dropping by, Jennifer. Ashitaba is such a great vegetable that is packed with the essential nutrients your body needs. I was going to say that it sounds Japanese til I saw the photos at the end of your entry. I was right. Wow, I see that you're a big fan of Japanese. I also deem that their products are made with very high quality. I've never heard of this plant before. There's always something new to learn. You're not the only one. 🙂 Once you know more about ashitaba, I think the learning won't stop. This is first time I hear about ashitaba plant. What kind of plant is it? Hehe yeah I have to be also reminded of that sometimes. Being healthy inside is more important than being beautiful outside! 😀 Well, at least that's true to my view. I have never heard of this before. I need to do some internet investigating. Yay! Congratulations for your new learning. Very interesting info, I've never heard of Ashitaba! So it's mostly people above 40 though young adults gets about a quarter of the share. This can really help in creating a marketing strategy. Yup, it's also good analytics to mean that people who are getting older are much more getting concerned on their health and wellness. Or they can also target the younger market who can have a better life wit Ashitaba. Yup, for the first time, I did! Very interesting insights to look at. Seeing and looking into these trends and numbers would be helpful in tracking down awareness of people about ashitaba as well. Never heard of this plant before. Glad I read this. Thanks for visiting my site for the first time, Nadia! I hope you'd learn more. From reading the comments you are doing an awesome job of promoting the information about the plant. Thanks, Paula! Oh wow, you're from Buenos Aires! If you want to get ashitaba, Amazon marketplace is a good place for you to purchase tea or capsules. I haven't heard about it before, but it's such a nice thing. Many people have not heard a word on ashitaba when in fact, it has more documentations about health than the vegetables we are more familiar with for daily cooking such as malunggay. I think I fall on the 25% bracket and thanks for your detailed statistics. You're welcome! It's always great to know more about healthy stuff. Huh, who knew? Not me. I guess I know now. Thanks for being one of those who already know. this ashitaba is getting popular now and becoming a householdname even endorsed by our neighbor .. hmmm i wonder what health benefits it gives to men? To men, a lot. Read more about it here. first time to hear about it. glad to read about it here. You're welcome here. I've organized this site in a way that educates readers on the different benefits of ashitaba that could relate to their concern. My inlaws are interested about Ashitaba as they said that it has a lot of medicinal values. I told them that they should visit your site because everything they need is right here. Read more about it and you won't be disappointed. hey! i think i've heard about this plant, got the info while watching t.v, anyway thanks for refreshing my memories! good read! If it's on local Philippine TV program that you watched, most probably it was gynura procumbens and not the real Japan ashitaba that was featured before. How long have you been doing research? I'm interested in Ashitaba because of my father's health. Interesting insight about the product. Just wondering what percent comprises those male adults ages 55-64? Does it means ba na mas- health-conscious ang females compared to males. It may mean that way. On the other hand, it may also mean that females are just more tech-savvy as they use the computer and the Internet to search for information online. Where can I buy ashitaba capsules here in jeddah saudi arabia? I am not sure were you can buy Ashitaba in Saudi Arabia. I know there is a brand launching soon with a awesome raw Ashitaba product that will be doing international shipping. Do I need a doctor’s prescription if I want to by ashitaba capsules? Can we take Ashitaba capsules without doctor’s approval? Ashitaba is natural medicine so there is no need for a doctors approval. Yes, of course you can! Please let me know if you publish the results of the clinical study, I am always interested in learning more about Ashitaba.